Johnny Depp is having a very bad week indeed. His mother has sadly passed away, his wife has left him and filed for divorce and now….those claims. Very distressing news has broken this week concerning Disney favourite Johnny Depp. 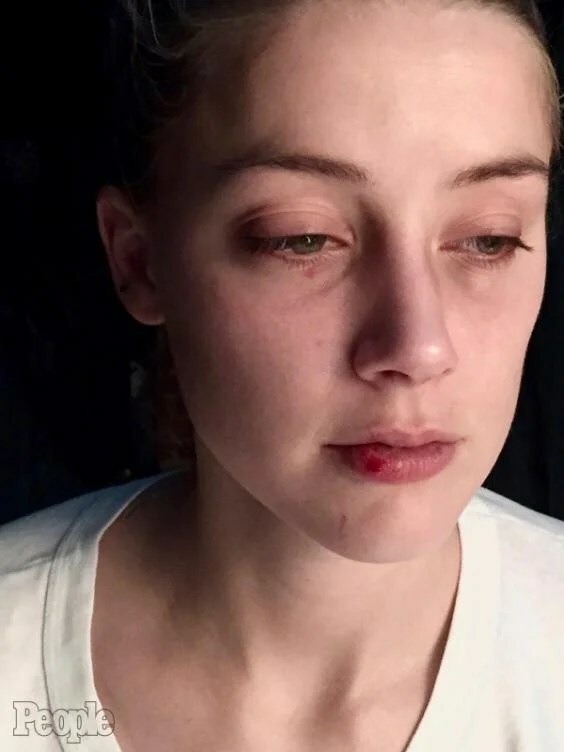 As wife Amber Heard files for divorce, claims of physical and mental abuse have emerged, supported by photographs, texts message and witnesses. A judge has granted Amber Heard’s request for a restraining order and according to Heard and her camp, the abuse has been going on since 2014. Camp Depp have painted Heard as a gold digging, manipulative liar who married Depp with every intention of going for his millions. No pre-nup. She took home $50k for the year last year, but is asking for this per month in support. Photos of a bruise that emerged when apparently her face was clear on Instagram the day before (images since deleted). Letter from ex-partner who says in 14 years he never laid so much as a finger on her. The list and speculations go on and on. Camp Heard have painted Depp as a broken control freak who physically and mentally abused Heard, always promising to get better and do better and stop. More than one photo has emerged – bruises, cut lips, etc. Text messages where Depp’s assistant admits what he did and that Depp is distraught and wants to get better, apologise and have another chance. Again, there is a compelling list of facts and evidence. Opinion is divided. Depp fans and friends, family all saying this is not the man they know and that Heard is a liar. People jumping to Heard’s defence as a battered woman, demanding to know how people can be mean to her as she is the victim. No matter what you think (and we’d love to heard your opinions), there are 3 sides to this. His, hers and the truth. All we know is that we are saddened by the whole affair and hope for a swift resolution for both parties. Maybe one day the truth will out.